If you can inspire even one person in this lifetime to serve and be caring, you can claim to have lived a productive and useful Life. 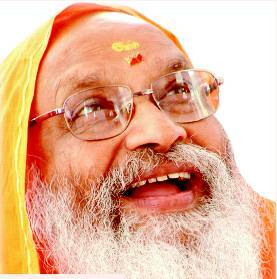 And Swami Dayananda, who passed on earlier this week, touched and inspired so, so many people. I have never met Swami Dayananda. My parents-in-law Venks and Padma were both long-time followers of Swamiji. Their children, including my wife Vaani, too knew Swamiji pretty closely. In the 14 years that Venks stayed with me and Vaani, after Padma’s passing in 2001, he would diligently make an annual contribution to Swamiji’s Arsha Vidya Gurukulam in Anaikatti near Coimbatore. I knew this because Venks depended on me to ensure that his contribution, via a postal money order, reached Anaikatti. As my spiritual evolution progressed, Venks and I would often have long conversations and he would share anecdotes of what he had learned from meeting Swamiji or from attending his discourses. So, in several ways, Swamiji’s teachings found their way to me. But I never got the opportunity to meet him – the one time in recent years when he visited Chennai, much before his health began to fail, I was traveling. But Swamiji touched my Life, and my precious family’s, in the most profound, yet in the most inscrutable, of ways. Seeing my daily blog posts, three years ago, one of my friends on Facebook, a lady who I had never met back then, reached out to me. She is related to someone we know. And because she liked reading my blogs, I had added her as a friend. The post that had prompted this lady to reach out to me dealt with an episode during our grave, ongoing financial crisis, our bankruptcy. In that post I had talked about how I was learning to be calm in the eye of the storm. A criminal complaint had been filed against me for cheating and I was likely to be arrested. We had no money to run the family. So, there seemed no way out but to go with the flow. Seeking bail or remedial legal measures were out of the question – given that everything cost money! Besides, this complaint had been filed against me in a different Indian state – where we knew and had no one. I had written about how it is important to let go, especially when you don’t know what to do. The lady, who lives in the US with her family, pinged me on Facebook Messenger and asked me if she and her husband could speak to me and Vaani. I thought she wanted to discuss the learnings from on my blog post – there are many people who reach out to me seeking and sharing additional perspectives; so, I agreed. Over the call, the lady’s husband asked me if I would mind if they wired us some money. I was flabbergasted. We had just a couple of thousand rupees on hand at that time; Vaani and I were in fact wondering how we were going to get groceries and keep the kitchen going, when this generous, completely unexpected, offer came our way. I thanked the gentleman profusely. In fact, I broke down as I expressed our gratitude, while accepting his offer. That money which came in from this couple lasted us a few weeks. It helped me and Vaani brave the onslaught on the criminal complaint front, because the home front was taken care of with this inflow. Yes, all spiritual teachers share what they have learnt with their followers. Often they distill the essence of the scriptures, which they have mastered, in their teachings. But very few teachers will have the ability to inspire people to imbibe and practice the spirit of service. Swamiji, I understand now, did that not once or twice, but all his Life. And he managed to do that to a lot, lot many people. From that couple who selflessly touched our Life, we have learnt to carry forward this spirit of seva, service. Someday, we hope we too can be angels in disguise to someone, just the way this couple has been to us. When that day comes, hopefully soon, we will look up at the sky and thank Swamiji, yet again, for teaching us that the true meaning of Life is ‘seva’!